Where and when does the season start? The season will start on the 20th of January 2019 with weekly games played at 5-7pm on Sunday’s at Marrickville PCYC. Your team can apply here. It will cost the whole team a total of $575 a season. The league will be played in a round robin format with semi finals and finals matches at the end of the season. Total season should last 10 weeks. The matches will be played best of three sets (first to 25, 25, 15) as many points that can fit in the hour with a time out for each team. How many players are needed for a team? What happens when I join as an individual? When you sign up as an individual you will be placed with 5 other individuals to form a team and play together in the league. Details of your team mates will be emailed to you. I’m not sure how to play and am still learning volleyball, can I play? Yes, you most definitely can! Indicate you are a beginner when signing up and you or your team will be placed in the beginner division with similarly skilled competitors. What do you mean by free jersey? This means that your whole team will include free Jerseys to play in customised for your team (including the colour, name, team icon and number!). Details on the design process will be talked to with captains once the season starts. Note this free offer is included for the core 6 players and is a limited time offer. Additional jerseys will cost $30 each and can also be made in later seasons. 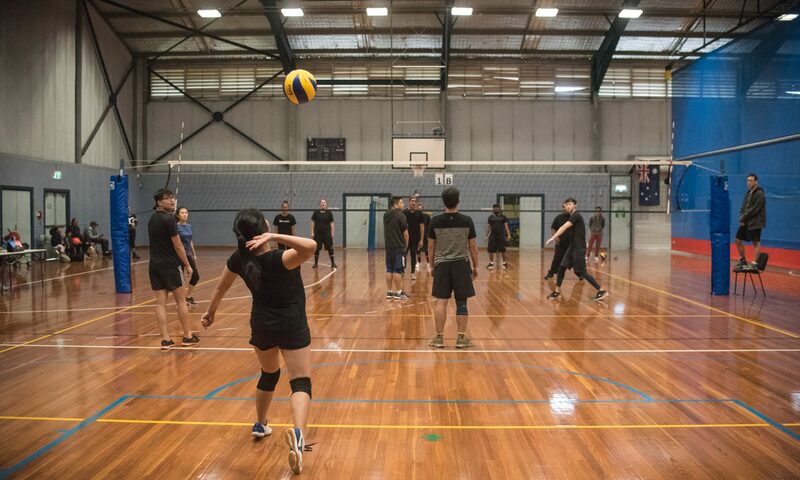 Do I need to be a State Volleyball NSW (SVNSW) member? Yes, you will need to be a member of SVNSW as they cover you for insurance if you are injured while playing which will last you until April the following year. SVNSW benefits can also be used on all their affiliated competitions all around Sydney. You can register here and will require Adult Gold membership. Do I need to be a PCYC member? Yes, you will need to be a member of PCYC as it is required to use their courts at any time. It’s $20 for an adult membership that will last one year from the day you sign up. The membership entitles you to use any of the PCYC venues from all across Sydney as well as the services they offer. Email us at admin@sydneysocialvolleyball.com.au or send us a message on our facebook page, hope to see you soon!